Wednesday Workshops are all about solving tricky little image-editing issues, and here’s one to get us started. 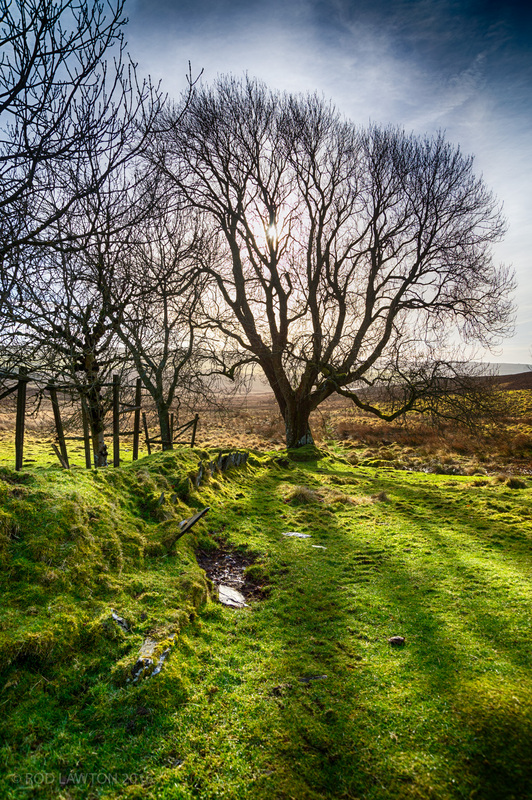 The Lightroom HDR tools built in are good in their way, but will only get you so far. Yes, you can boost the shadows, reduce the highlights, add some Clarity and Dehaze and maybe a graduated filter for the sky, but you can end up doing a lot of work only getting half way to the result you want. This also applies both to single raw files and when you’re using the HDR Merge feature and a series of separate exposures. Lightroom will blend these into a single composite high dynamic range DNG file, but you’re still left with the same editing tools. The thing is, though, that Lightroom is very good at extracting the maximum dynamic range from raw files. So good, in fact, that often you can get all the tonal range you need for a great-looking HDR image from a single exposure. 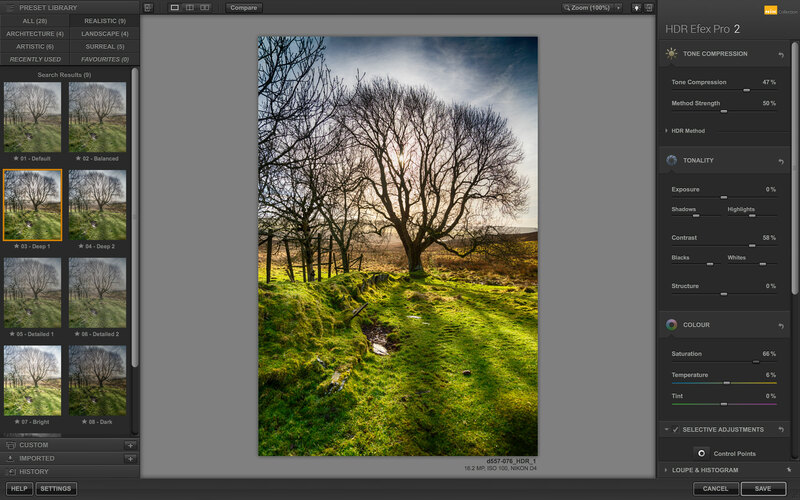 However, Lightroom isn’t very good at tonemapping and the HDR ‘look’. That’s why tools like HDR Efex Pro, part of the Google Nik Collection (now free to download, remember) are so valuable, because you can launch them straight from Lightroom. The trouble here, though, is that they can only work with the data you send them, and if you don’t do any preparatory work on the files, you could end up with second-best tonal range and quality. So here’s a process that gives you the best of both worlds – Lightroom’s dynamic range and lens correction capabilities and HDR Efex Pro’s tonemapping and HDR effects. It doesn’t look much, does it? This picture was taken on a bright and crisp winter morning, but the camera’s rendition is pretty flat. I used an exposure which I thought should keep detail in the highlights and enough – hopefully – in the shadows, but it doesn’t have the brilliance of the original scene. The thing is, if I send this to HDR Efex Pro straight away, I won’t necessarily be sending the full tonal range in the raw file. So the first thing I want to do is use the Auto button in the Tone section of the Basic panel. This automatically adjusts all the Tone parameters to give the optimum tonal distribution. It looks like it’s increased the Exposure and the Shadows to brighten up the grassy foreground, but it’s pulled back the Highlights to compensate, and a glance at the histogram shows there’s no significant highlight clipping, so this looks like a good compromise. But there’s another important job to carry out – Lens Corrections. Any chromatic aberration in the photo will be exaggerated by the HDR process, so now’s the time to get rid of it. I know exactly where any chromatic aberration is going to be – in the bare branches in the top left corner of the picture. 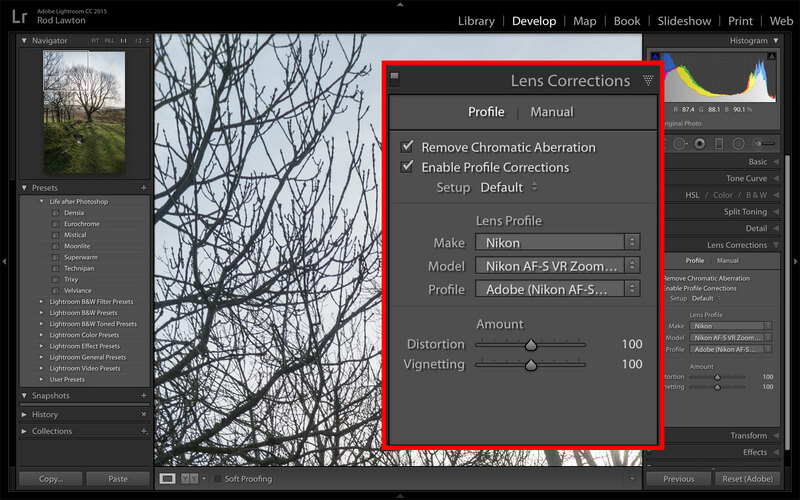 Zooming in lets you check details like this very quickly, and the Remove Chromatic Aberration checkbox in the Lens Corrections panel will effectively remove most if not all colour fringing from any image, whether or not Lightroom can also find a matching lens correction profile. In this case it has, so we can also fix any lens distortion at the same time. 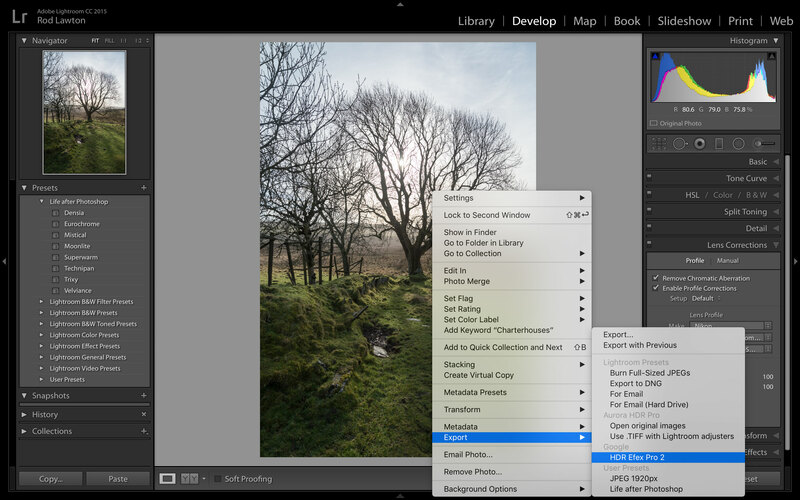 To do this, you just right-click on the image and choose HDR Efex Pro from the Export menu (NOT the Edit In menu you’d normally use for launching plug-ins). 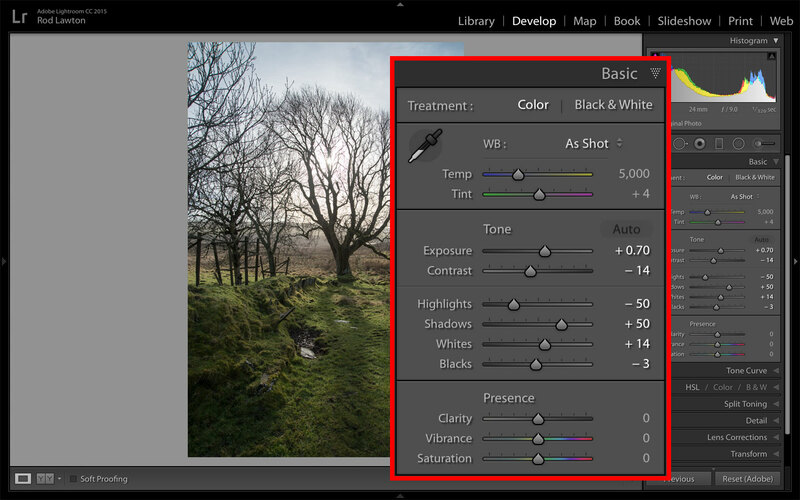 I won’t spend a lot of time on this step because you’ll probably want to browse through the presets and settings in your own time. For this photo, though, I’ve chosen one of my favourite HDR Efex Pro presets – ‘Deep 1’ – because it gives a relatively natural look but still with that HDR intensity. I have given the Contrast and Saturation sliders a big boost to make both the colours and the lighting a bit more intense – you can be more aggressive with these controls in HDR Efex Pro than you can in Lightroom – and I’ve also given the Temperature slider a tiny nudge to give the picture a little more warmth. This is the finished picture. I couldn’t have got this effect using Lightroom alone, but HDR Efex Pro wouldn’t have had the tonal range and chromatic aberration control without the initial adjustments in Lightroom. It’s not always about comparing one program with another. Often, you can only get the results you want by combining the best qualities of both. This is indeed a good idea to combine both softwares. I do it very often with ON1, I start in Lightroom and then I finish the stylization in ON1 by applying and using different filters or even presets. I never combined Lr and HDR Efex Pro. Will do it in the future ! Tanks Rod for the tip ! Thanks, Yves, you are very kind. ON1 has some good effects and I must make time to take another look! FYI, ON1 is going to launch a totally new version, called Photo Raw. I am working now with a pre-release version and this is really great ! For the first time, you can work on the raw file (no conversion except if you send your image from Lr to ON1 then it is converted into a PSD file) with all masks and layers that you normally use with a PSD file. Unbelievable. In a standalone mode, it’s totally non destructive. Nobody else can propose such a solution as raw editor because even with Lr, that I like a lot by the way, it’s non destructive you don’t use layers ! With you so far, but what happens next? If you hit Save, where does it save it to? 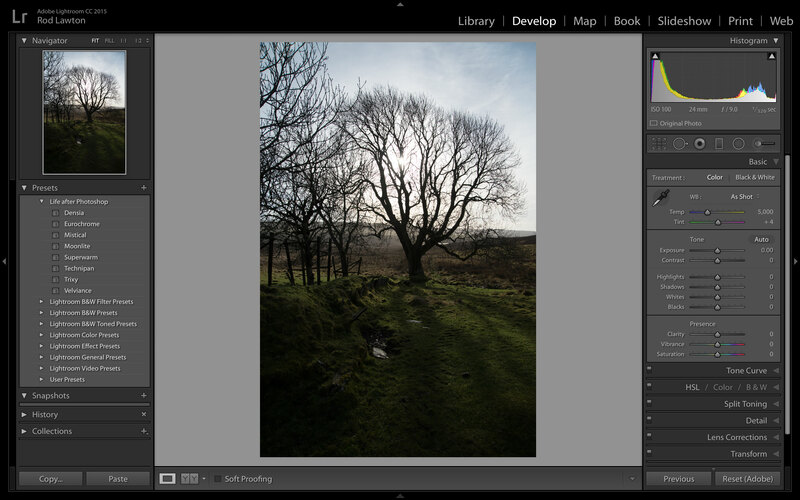 If i use one of the other plug-ins – say Silver Efex – the changes show on my LR image. I think I am missing a vital step somewhere. Help!! !